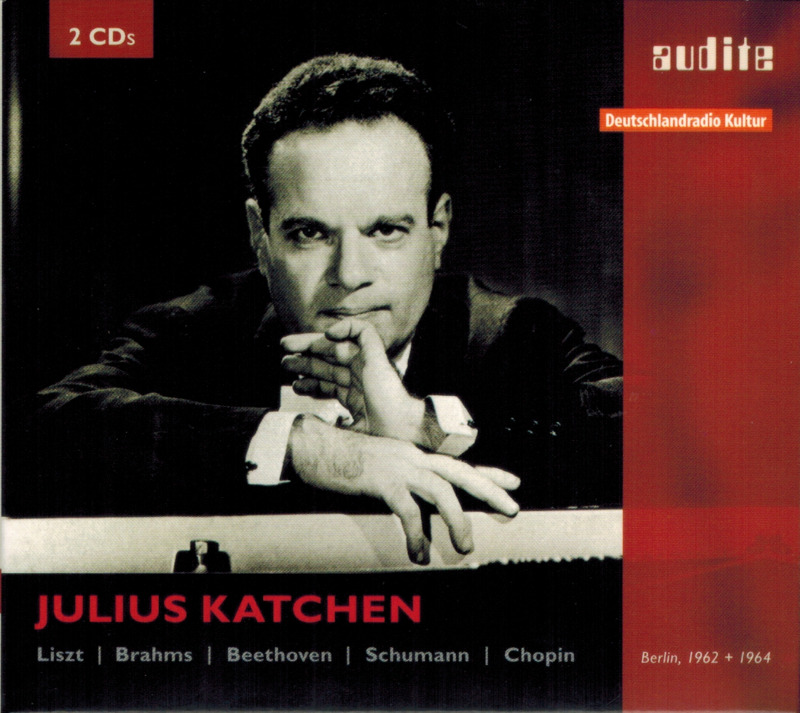 “This anthology of Julius Katchen’s complete solo recordings, made during two recording blocks in 1962 and 1964, expands Katchen’s discography by as many as six first releases: Beethoven’s Rondo. Op.129 ‘Rage Over a Lost Penny’, Chopin’s A-flat major Ballade, the two famous Nocturnes Op.9.1 and Op.27.2, the late Berceuse, and finally Liszt’s Piano Sonata in b minor, one of the pillars of 19th century piano music. 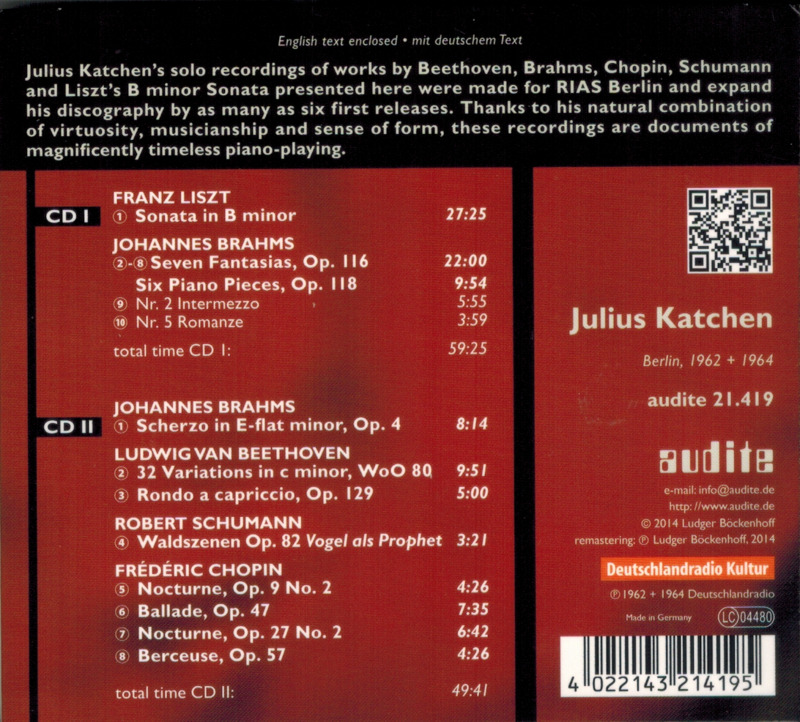 Katchen’s energetic and virtuosic reading of the Liszt sonata ranks highly amongst the great recordings of this piece. 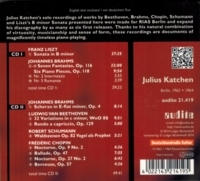 However, his interpretations of the works by Chopin, Beethoven and the late Brahms, thanks to his natural combination of virtuosity, musicianship and sense of form, are also documents of magnificently timeless piano-playing.